Spring's best flowers are gathered together in this beautiful bouquet. 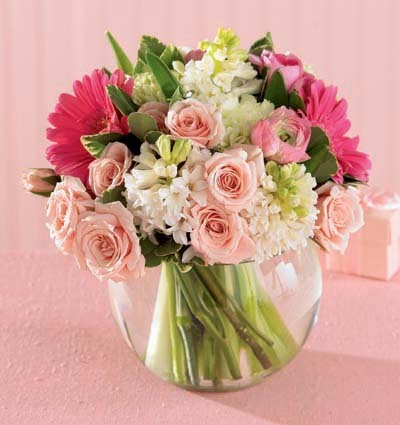 Pink Gerbera daisies, soft pink spray roses, pink ranunculus and fragrant white hyacinth are arranged in a glass bubble bowl. A sweet bouquet suitable for any occasion.